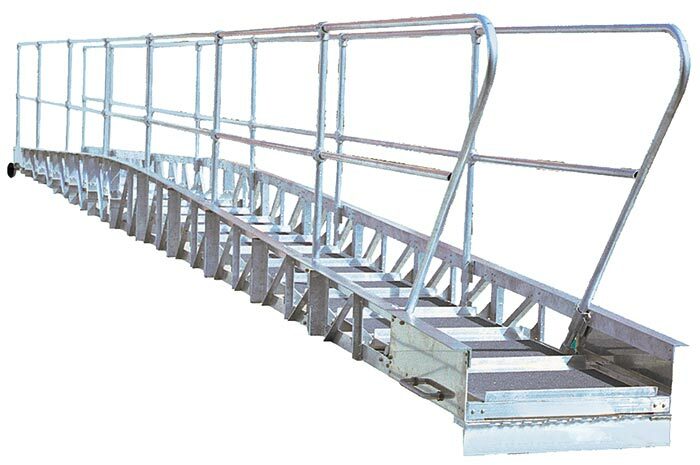 The rugged durability of our GW500 straight truss gangway allows you dependable access when you need it. With it’s equal height trusses and its marine grade aluminum alloy construction, it can handle a distributed load capacity of 2000 pounds! Its 24″ wide aluminum deck plate features a slip-resistant coating and aluminum angle cleats for better traction and added safety. Available with 5-1/2″ rollers on dock side, allowing for variations in ships’s float. Available in 20′ tp 40′ lengths, our GW100 bowed truss gangways will get you on board with ease. Designed of 6000 series marine grade aluminum alloy, these workhorses afford a distributed load of one ton! The two foot wide deck plate walk surface features a slip-resistant coating and cleats for better traction and added safety. 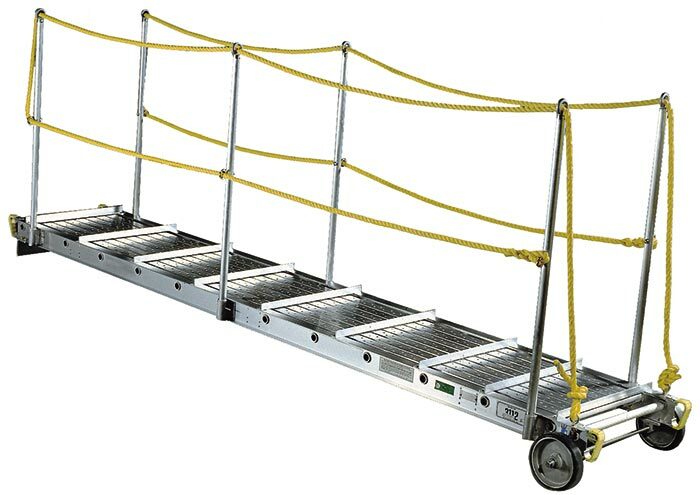 Our SGW series gangway is a simple, economical, and lightweight solution to ship access for you or your crew. With a distributed load capacity of 750 pounds, this portable powerhouse can run with the big dogs. Available in 24″ or 28″ widths, the perforated deck walking surface features angled cleats for better traction and added safety. Choose rope or aluminum handrails to fit your application! Contact a Marine Expert Now! Carbis’ ship to shore access equipment is designed and manufactured to meet your terminal’s specifc needs and provide safe access to all types of vessels. Rugged access on the water. Its lightweight aluminum construction and 1-1/4″ serrated rungs make this little ladder a sizable safety advocate!